Allison Allen is no stranger to the stage. From performing one-woman dramas on the Women of Faith tour, to acting in Broadway’s “Grease,” to teaching at seminars and conferences around the country, she is well-seasoned in the art of her craft. But it is her combination of intensity, tenderness, and self-effacing humor, peppered with a good dose of physical comedy, that sets her apart as a dynamically nuanced communicator. Whether writing, acting, or speaking, the heartbeat of Allison’s message is always the Power of Story. Weaving drama and teaching together, she explores themes of purpose, value and identity in original and sometimes unexpected ways. Allison Allen leads women on a rare and revealing journey toward the wonder of our wounds, and the glory of Christ’s redemption. 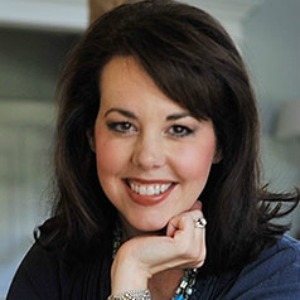 For three years (2007-2009), Allison experienced the joy of being Women of Faith’s dramatist, performing her original one-woman pieces for over 200,000 women in arenas around the country. She counts walking the same platform as the Women of Faith “porch-pals” among one of the profound honors of her life.